The mere presence of the tall, masculine, yet soft Arthur will transport you to an era of refined taste and colonial elegance. 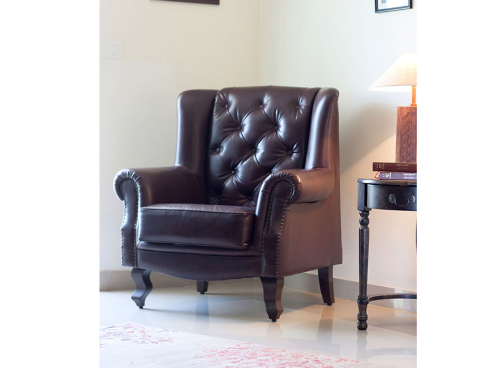 It’s our version of the classic wing chair with perfect hand rests and the right balance of depth and width. Give your lobby, library, the living room corner by the French windows, or even the dining table area a style update with the luxurious and versatile Arthur. 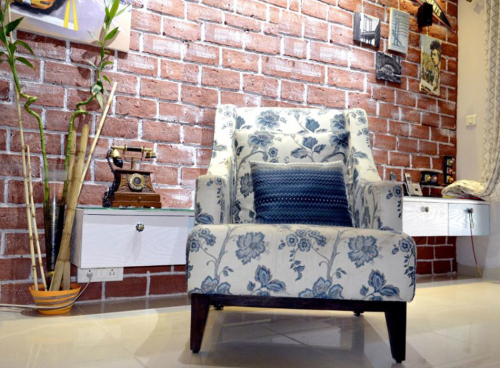 What’s more – get a coordinated foot stool/ottoman to go with the King Arthur and you are all set for a lazy, comforting Sunday! Care for sinking into a piece of pure indulgence? With a Chester around, we think about the richness and class of the colonial era! 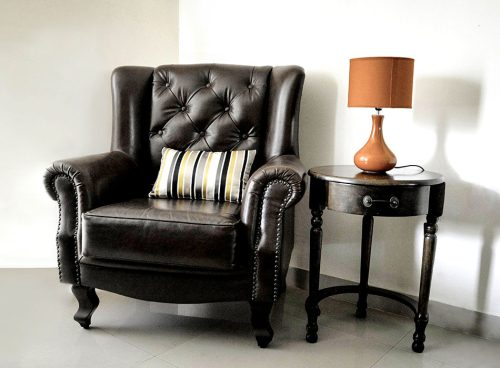 This wide, sturdy, and timeless wing chair can transform your home from ordinary to extraordinary in an instant. Exaggerated wings, button tufted and generously cushioned back, and roll over arms encrusted with rust gold rivets make Chester the perfect choice for a bar, lobby, lounge, library, or a stately living room space. We can fabricate this classic design in Queen Anne legs too for you in sofa fabric and leather. 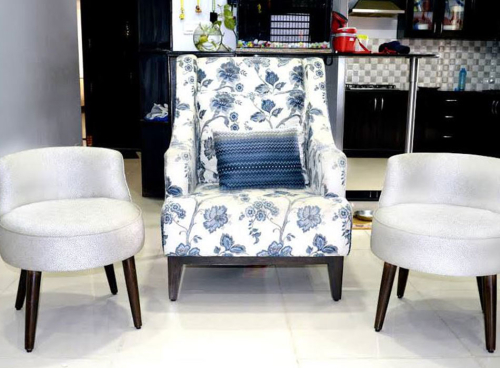 Featuring a solid wood skirting at the bottom, simple legs, and short sweeping arms, this straight lined elegant wing chair instantly imparts grace and freshness to modern homes. 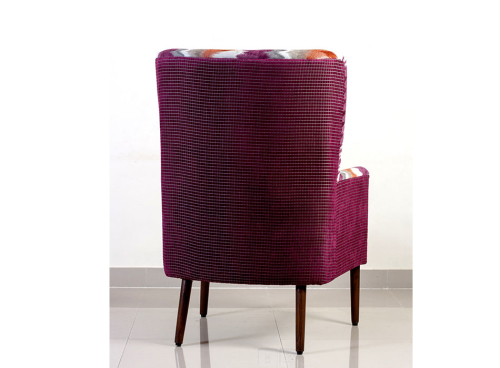 The Shelby comes with an additional loose poly-fibre back cushion, and is a perfect statement piece for the foyers, living rooms, and lounge areas. Curl up your legs, and sink in its plush, generous seat with your favourite book and a cup of hot, steaming coffee for hours! 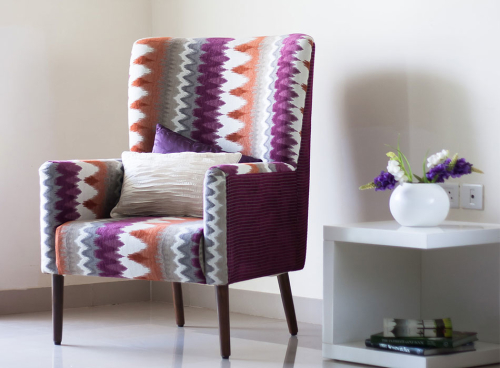 And by the way, it can perfectly complement your sofa too! Did we get you dreaming?